Each year millions of adults over the age of 24 make the decision to return to college, yet the path to a college education for adult learners is not an easy one. For military spouses, that path can be further complicated by lengthy spouse deployments and separation from family and traditional support networks. In the first article of this series we discussed how to choose the right college. Next, it’s important to prepare yourself to meet the inevitable challenges that come with being an adult learner. In her book, “Achieving The Dream: A How-to-Guide for Adult Women Seeking a College Degree,” Dr. Carol Leary notes that for adult learners in particular, “Obstacles come in all shapes and sizes. Fear is one of the most significant.” By preparing in a few key ways, you will be better equipped to meet these fears and challenges head on and move forward toward your goal of earning your college degree. As a senior enrollment officer at The American Women’s College of Bay Path University I have helped thousands of adult students return to college. One of the first questions I often ask students is who will they include in their support network. As a military spouse this can seem like an insurmountable challenge, especially if your spouse is deployed and you are hundreds of miles away from home. It is for these reasons that establishing a strong support network is critical. If you have young children perhaps you can reach out to other spouses and identify those who would be interested in swapping childcare for study time. You will most likely find other spouses who are returning to college; connect with them and form a local support network. Tap into the local library on or off base and find out what resources are available. Connect with the staff at the college you are attending, either online or on campus, and get to know your advisor. Part of being a successful adult learner also means you need to learn to ask for help and you will have to let some things go. I earned my degree as an adult learner and I was fortunate to have my Marine spouse home during that time to help with the kids and the housework. However, I definitely had to learn to accept his help as it came. That meant that the dishwasher was no longer loaded “correctly” and the laundry was never sorted by color. We all survived, and quite honestly are better for it. Ask for help when you need it. Finally, one of the most important ways you can prepare for success is to budget your time appropriately. As a college student you will need to allot for the time spent in class as well as for the time needed for studying and completing assignments. For students attending class on campus this can seem very straightforward, however this is one area where I often see many online students stumble. 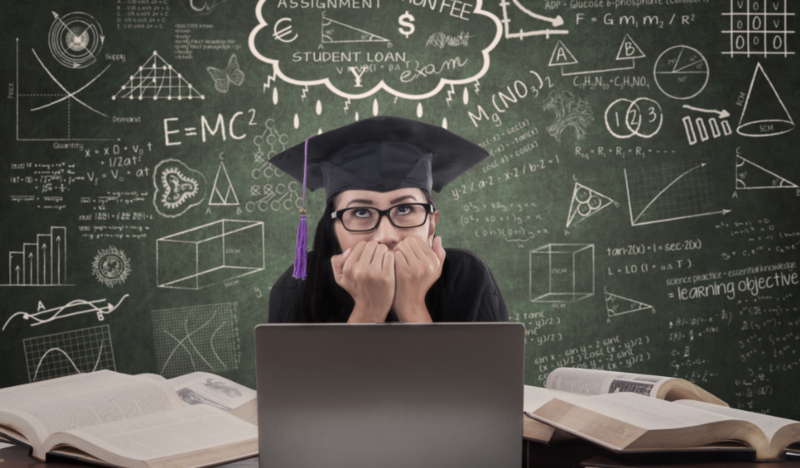 Often online students mistakenly assume that they will save time by not attending class on a campus and are left surprised and overwhelmed by the amount of time that is actually required of them. When done well, an online course should be equivalent in work and time commitment for an on-campus course. It is important to budget into your plan for the week not only the time required for studying and assignments, but also the “course time” required to read and engage in course discussions and to view or read course lectures and course notes prepared by your instructor. Ask your advisor or your instructor to provide you with the time commitment required in advance of the course and schedule that time on your calendar each week for the duration of the course. Establishing a support network, asking for help and budgeting your time appropriately will help ensure your success as an adult learner.